Host: Lisa Griffith (organized way) Guests: Jacquelyn Flesner (the etiquette network) Beth Carter (Beth Carter Consulting). The Preservation Society: Hosted by Trudy Cox. Guests: David Rosenberg (Winterfest), Abbie Stewart (upcoming children's programs, green animals and some really cool history about the inception of Bellevue Ave) and George McNeely (27th Newport Symposium). Guests: Kaity Ryan and Chuck Allott discuss the conservation of The Blue Garden and the important work of the Aquidneck Island Land Trust. Lise Dube-scherr talks about the 27th Annual Newport Symposium. Katherine Garrett-Cox gives an update on the deep cleaning at The Elms. 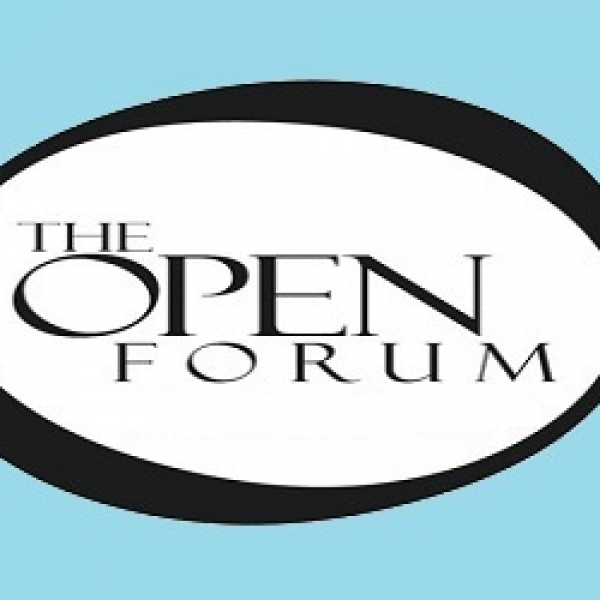 Andrea McHugh from Discover Newport joined Jacob Sullivan on this edition of The Open Forum on WADK! Round two as Frank explores a dispute between Portsmouth, RI residents and the Navy over Navy plans to build a solar farm that’s expected to come close to a residential area that overlooks Narragansett Bay. Solar Breakers, a subsidiary of BQ Energy, LLC, has signed a 37-year lease with the Navy to build the 75-acre solar farm on what has been described as unused land. The planned relocation of a fence has raised concerns among residents of its impact on both quality of life and property values. Guests joining Frank for this discussion are Portsmouth Town Council President Keith Hamilton, and Residents Bob Berner and Ralph Sotek, advocates for many neighbors. In this edition Frank discusses a dispute between Portsmouth, RI residents and the Navy over Navy plans to build a solar farm that’s expected to come close to a residential area that overlooks Narragansett Bay. Solar Breakers, a subsidiary of BQ Energy, LLC, has signed a 37-year lease with the Navy to build the 75-acre solar farm on what has been described as unused land. The planned relocation of a fence has raised concerns among residents of its impact on both quality of life and property values. State Sen. Jim Seveney of Portsmouth and Ralph Sotak, a neighborhood advocate join Frank for this discussion. Steve Brown, executive director of the Rhode Island chapter of the ACLU discusses issues of pay equity, a city's effort to block federal funding from an organization that protects victims of sexual abuse, and the battle to protect freedom of the press and speech, among other issues. Hands that Rock, a Rhode Island non-profit that uses massage therapy to bring “the magic of music to underserved children,” is holding a fundraiser on Sept. 15, featuring three bands, food, and merchandise signed by many famous bands. Darcy Lynch, the organization’s executive director who also owns Stagehands Massage Therapy that provides massage, chiropractic and other services to leading bands and stagehands, joins me Wednesday on Open Forum on WADK (1540 AM). Darcy is the daughter of Ron Lynch, who was a member of the Cascades (“Rhythm of the Rain” … “Listen to the Rhythm of the falling rain…”) and is a former producer for the Discovery Channel. Among Rhode Island's newest and fastest growing industries is medical marijuana, with three medical marijuana compassion center and over 100 growers. Joining us today were Seth Bock, Owner of Greenleaf Compassion Center of Portsmouth, and Rob Dupoint, the Center's retail supervisor. As one Rhode Island town once again debates the merits of a municipal ethics commission, we’ll explore the role of local ethics commissions and the relationship with similar state commissions with John Marion, executive director of Common Cause in Rhode Island. Medicaid matters in Rhode Island, with one in three Rhode Islanders served by the program. It’s the subject of a recent Economic Progress Institute Report and the subject of today’s Open Forum on WADK (1540 AM) at noon. Joining me will be Linda Katz, chair of the institute’s “Protect Our Healthcare Coalition,” and Carmela Greer, executive director of the Edward King Senior Center. August 8th edition featured Frank Prosnitz, Ryan Belmore, and a discussion on politics, Red Sox youth initiatives, and more. Paul Madden joins Ryan Belmore to talk about a new historic documentary production that was announced this week that will be based on the infamous Newport rum runner shoot-out in 1929. Joe Louis Walker, a four-time blues music award winner, joins Frank on this edition of the Open Forum and talks about the importance of the blues and his four decades of music. The Rhode Island Department of Transportation is reporting that revenues from truck only tolls, in its first month, are exceeding expectations. Meanwhile, the DOT is facing a lawsuit from the American Trucking Association that claims those tolls discriminate against out of state truckers. Chris Maxwell, president and CEO of the Rhode Island Trucking Association, joined Frank on Thursday at noon on WADK (1540 AM). LAAL with Gail Alofsin. Guests from Bryant University: Patrick McIlveen, Laurie Hazard and Stephanie Carter. Providence Journal editor Alan Rosenberg joins Frank to talk about the relationship between the Journal and the Newport Daily News, both now owned by Gatehouse; about changes in coverage at the Journal; attack on the free press; and more. Teri Degnan Real Estate and Consulting Edition with Chris Depero, Sales Associate. Exploring the sights and sounds of our future leaders with my seven-year-old granddaughter, Addison Kate Prosnitz. She's ready to explore the adventures that are ahead in the third grade. We also explored some great programs offered by the Small Business Administration and prepare for month-long celebrations ahead, like international pickle month. With the Rhode Island Legislative session winding down John Marion, Executive Director of Common Cause, gives us an overview of legislative initiatives that are likely not going to be approved in this session, including early voting in Rhode Island. On today’s Open Forum Frank explores the world of comedy from the perspective of a finalist on NBC’s Last Comic Standing to the announced start of truck-only tolls in Rhode Island, expected to begin next week. Kerri Louise, who will perform in a comedy show in Narragansett a week from Saturday, joins us at noon, followed by Chris Maxwell at 12:30. Chris is the executive director of the Rhode Island Trucking Association. We'll talk comedy in the age of Trump, and then about trucking in the age of a crumbling infrastructure and how governments are attempting to finance the repairs. And, of course, we explore whether the national trucking association plans on filing a lawsuit to halt Rhode Island's truck only tolls. The Trucking Association has said this as an important case, fearing if truck only tolls are embraced in Rhode Island, it could spread across the country. ALS (Amyotrophic lateral sclerosis), also known as Lou Gehrig’s disease, has long been viewed as among the most devastating conditions for both the afflicted and his or her family. Mary Murphy and Mary Frances Vesey, both of whom lost husbands to ALS, witnessing the courage, strength, bravery and determination of their husbands, and also demonstrating that same courage, strength, bravery and determination as caregivers for those they cherished. Both join Frank in this episode in advance of an Evening of Hope, a major event of the Rhode Island ALS Chapter, scheduled for June 22.